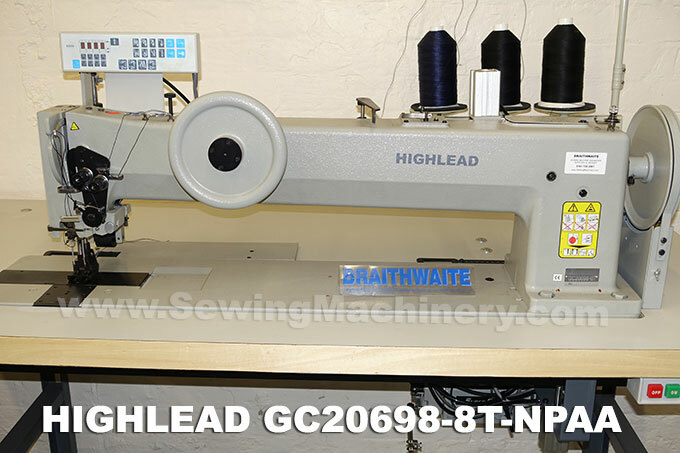 Highlead GC20698-8 extra heavy duty long arm industrial sewing machine for twin needle lockstitch sewing on heavy & extra heavy weight materials. 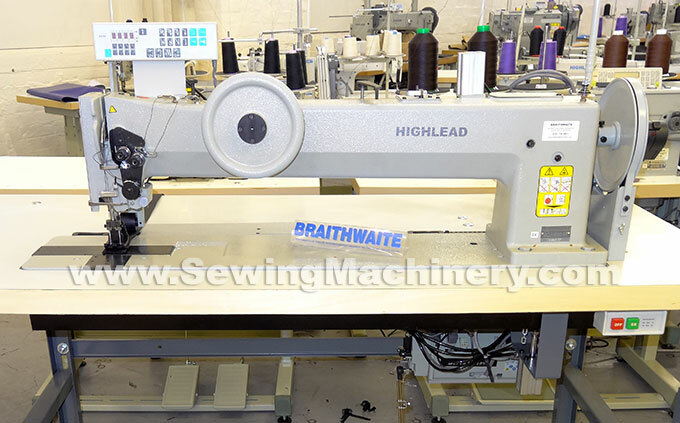 Sewing applications include extra heavy stitching of canvas, vinyl, leather, webbing, laminated materials, coated fabrics, tents, tarpaulins, awnings, lorry side covers, material structures, covers and many other heavy or bulky items. Highlead GC20698-8T NPAA model features a back mounted puller feed system with bottom driven roller for extra feeding power and enhancements including: high torque full sized 1HP electronic needle Positioning motor, air assisted reverse device, air operated automatic foot lifter, air operated automatic puller feed lifter, Knuckle quick reverse system and electronic stitch count box with slow speed inching control. Puller feed system with bottom driven roller. Electronic motor with automatic needle position (full sized HD version). Automatic air operated puller feed lifter unit. 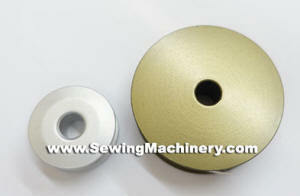 Normal sized industrial sewing machine bobbin in comparison with the Extra large GC20698-8 bobbin. 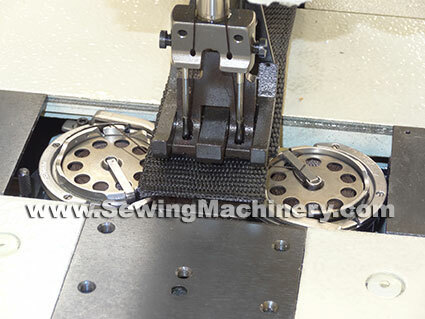 For fewer bobbin changes and of particular use when using the thick sewing threads associated with extra heavy materials.